Old Bust Head Brewing Company is in beautiful Fauquier County, Virginia, halfway between Gainesville and Warrenton. 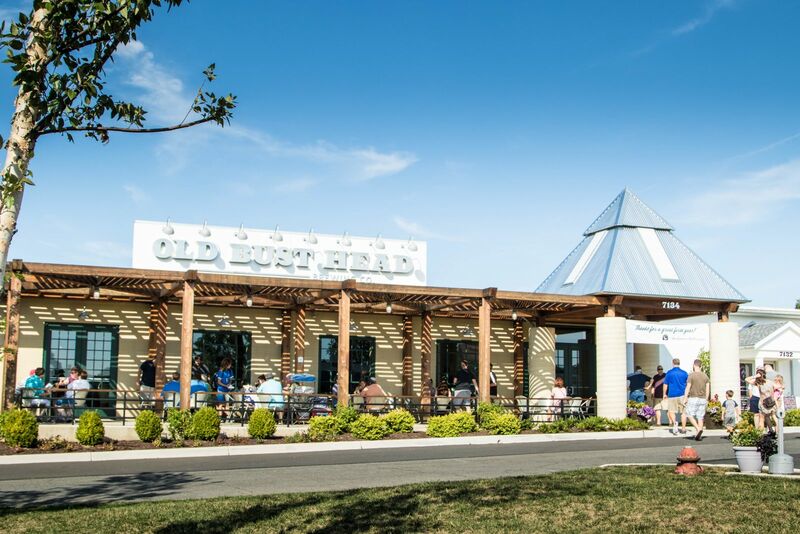 Located on the grounds of an old Virginia farm turned secret listening post by the US Army, Old Bust Head has reclaimed warehouses dating from the 1950’s for its beer hall style taproom and brewing operations. Equipped with a 30-barrel, four vessel brewhouse, eight 60-barrel fermenters, and two 120-barrel fermenters Old Bust Head has the capacity to brew up to 10,000 barrels of beer a year. We’ve got plenty of space for additional fermenters and will be able to expand that capacity when you are ready for more brew! We hope you’ll feel at home in our beer garden and taproom with its original post and beam construction and beer hall style tables. Our 30' walnut bar and 48 taps give us room to put up our wide variety of ales and lagers to engage every pallet. We partner with local food trucks and caterers every day who provide changing options of delicious fare. We also welcome you to bring your own picnic style munchies to our taproom. Dogs are welcome on the beer garden, or out back in the covered outdoor seating area between our taproom and production warehouse. Visit the taproom and you will also be able to buy our beer directly from the brewery by the 6-pack, growler, or keg. Bring in your own growler and we'll fill it on our counter-pressure growler filler.